Jason Stutter‘s The Dead Room (2015) Blu-ray/DVD will be released on September 6, 2016. Scream Factory will release this IFC Midnight film. I love the Blu-ray cover art even though it does not seem like it is from any scene in the movie to me. There is no mention of the bonus features, so I believe, as of now, there will be none. Jed Brophy, Jeffrey Thomas, and Laura Petersen stars in The Dead Room. From Scream Factory: We are proud to announce that we have two new IFC Midnight films planned for release on Blu-ray and DVD this September! THE DEAD ROOM - Inspired by a 1970’s urban legend, this atmospheric nerve-shredder follows two scientists (Jed Brophy and Jeffrey Thomas) and a young psychic (Laura Petersen) as they travel to the countryside to investigate mysterious occurrences at a remote farmhouse. Skepticism quickly turns to terror as the researchers’ presence unsettles a seriously angry demonic presence possessing the home. 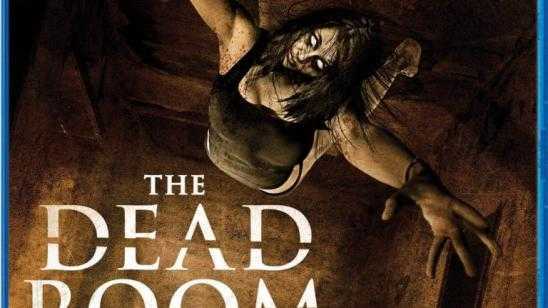 Upping the white-knuckle suspense with visceral camerawork and unsettling sound design, The Dead Room creates a sense of palpable danger lurking in every corner and hallway. Official Synopsis: When a terrified family flees a desolate southern New Zealand farmhouse, two cynical scientists and a young psychic are sent to investigate their claims of a haunting. There they encounter a powerful spirit that will protect the house's secrets at all costs.